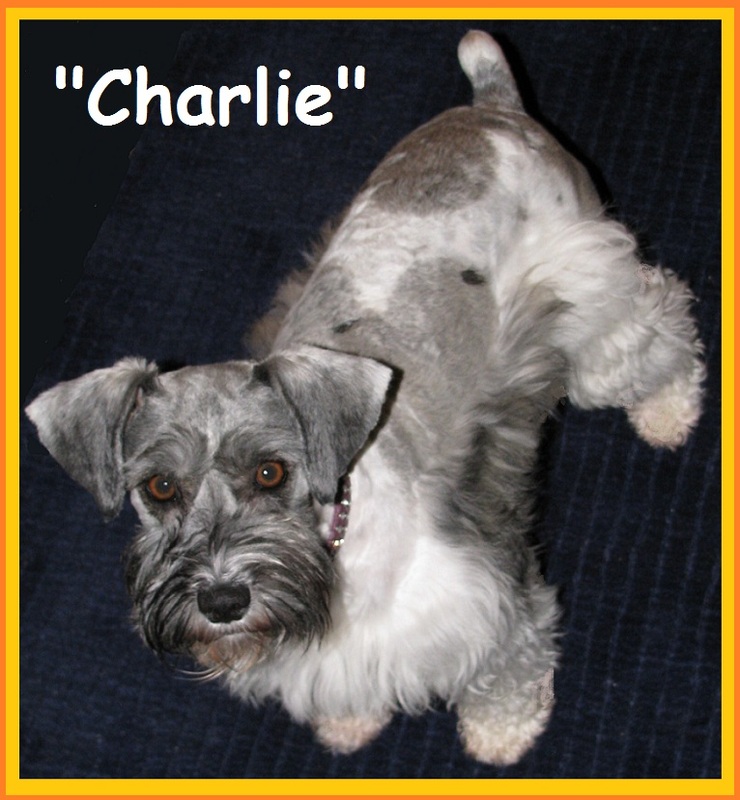 Charlie is a gorgeous miniature schnauzer who has a beautiful silver and white parti coat with a bit of creamy tan on her ears. Charlie is all muscle and has such an amazing solid body structure. She is 13" at the shoulder and weighs 18 pounds. I love everything about this girl. 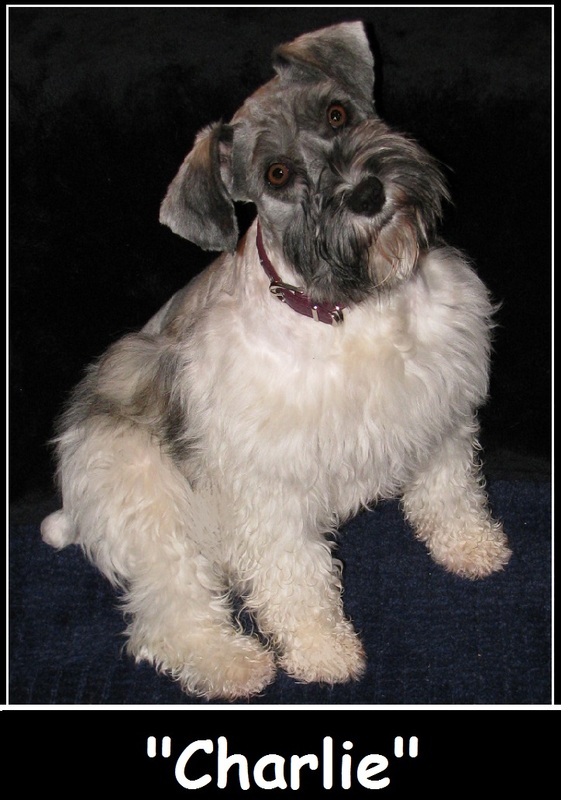 I plan to keep a couple of her pups to continue on with her line. 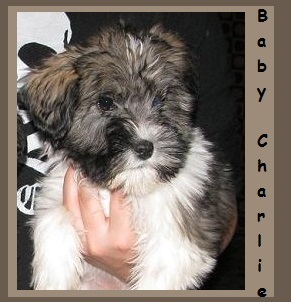 Charlie above at 10 weeks old, she was often found in someones arms being carried around. As you can see she was beautiful right from the start. Charlie above showing her amazing color and her very mega coat. 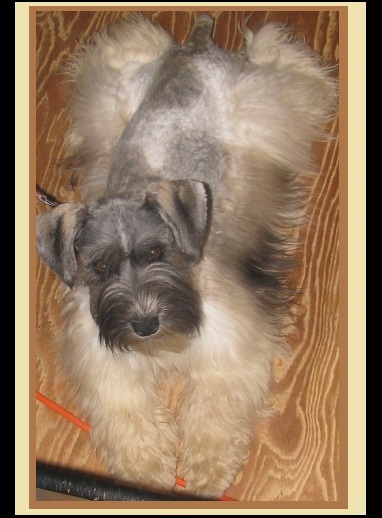 Charlie's coat is the thichest, fullest coat I have ever seen on a schnauzer. Charlie's pups are usually born with this same mega coat. This means they too will require a brushing twice a week if you wish to leave your pups coat long. Charlie often sleeps flat on her tummy with her back paws behind her. Charlie has beautiful soulful, saucer sized eyes. She is an all around amazing dog and I will never have another like her. Charlie is very loyal, loves everybody she meets and loves to hunt on our 5 acres. She is more of a couch potato and is amzing to snuggle with!